Let True Direct’s Home Health Care Help you! Our transition team will assist you to ease the stress of discharging from acute setting back to your place of residence. One of our Clinical Director staff will meet you or your loved one, collaborate with your discharge planner or social worker and provide FREE comprehensive home assessment. Contact us today for additional information or simply fill in our online request form. 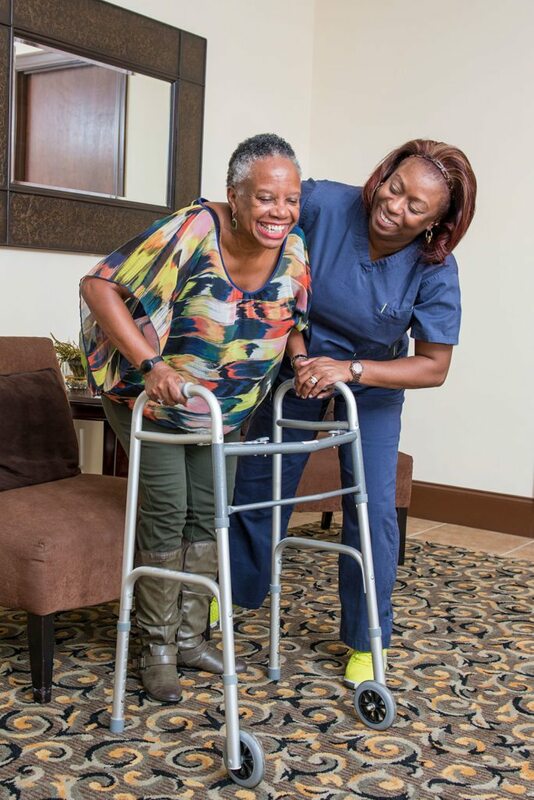 When we talk about post-acute care, we are referring to medical, nursing, therapy and other related health services provided immediately after a hospital stay or after rehabilitation from skilled nursing facilities. Including but not limited to wound care, Foley care, diabetic management, patient assessment, nutritional and diet information, medications and disease management, health screenings, bloodwork and client/patient management. Work to help patients regain physical function and improve range of motion. Therapists assist and/or train patients with gait training including but not limited to the use of wheelchairs, walkers, artificial limbs, etc., and pain control. Speech-Language Pathologists provide a wide range of services, mainly on an individual basis, but also as support for individuals and their families. Speech-language pathologists (SLPs) work to prevent, assess, diagnose, and treat speech, language, social communication, cognitive-communication, and swallowing disorders in children and adults. Refers to the care received after surgical procedure. The goal of this care is to ensure that you have a good outcome after surgical procedures. Measurable outcome includes recovery without complications and adequate pain management. Post-surgical care include ensuring that you are comfortable either in bed or chair and ensuring your incision site is intact with minimal or no bleeding. This also include assistant with adherence to discharge instructions.